P30R is a tactical, compact tri-output, strobe and SOS flashlight with a stunning 1180 lumens maximum output that can be used as a primary or backup light for patrol officers or a duty light for plainclothes officers. It's also ideal for everyday-carry, self-defense, or outdoor applications. - Anti-roll housing with bezel head. - Dual Switch(Tailcap and push side switch). 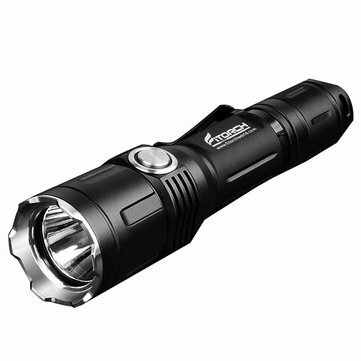 - Maximum output of 1180 ANSI lumens. - Rechargeable Micro USB port. - Removable pocket clip; nylon holster and Lanyard,USB cable and USB kit included.